This year's World Economic Forum in Davos marks a clear shift in the global power structure. "Bankers Are On Run", headlined the Wall Street Journal in its weekend edition, describing an atmosphere of, quote, "First, kill all the bankers." The scorn poured on the industry at this year's get-together in the Swiss ski resort is a sign of a mounting international backlash against the financial sector. Popular anger about banks' role in the financial crisis, and their behavior in its aftermath, has spilled over to the world's elite business executives, politicians and regulators. If there was one takeaway from the annual gathering of business and political leaders in Davos this year, it was this: trust in governments, corporations and above all banks has become as elusive as sure footing on the icy streets of this Alpine resort. The WSJ joins a growing chorus of traditionally pro-finance media beginning to ask questions reserved to blogosphere and - god beware - "conspiracy theorists" until now. Bloomberg, living comfortably from serving the financial industry fired the sharpest arrow so far. Commentator David Reilly goes as far as to accuse the NY Federal Reserve of being part of a conspiracy. His headline "Secret Banking Cabal Emerges From AIG Shadows" is followed by a sharp analysis that rattles the chair of Treasury Secretary Tim Geithner. The idea of secret banking cabals that control the country and global economy are a given among conspiracy theorists who stockpile ammo, bottled water and peanut butter. After this week’s congressional hearing into the bailout of American International Group Inc., you have to wonder if those folks are crazy after all. Wednesday’s hearing described a secretive group deploying billions of dollars to favored banks, operating with little oversight by the public or elected officials. We’re talking about the Federal Reserve Bank of New York, whose role as the most influential part of the federal-reserve system -- apart from the matter of AIG’s bailout -- deserves further congressional scrutiny. You have to wonder then who really was in charge of our nation’s financial future if AIG posed as grave a threat as Geithner claimed. Still trusting Bloomberg as the most reliable news source, Davos 2010 arrived at only one agreement: More financial regulation is needed. Bloomberg has sued the Fed about information who got the $2 Trillion in bailout money and the Fed fights disclosure. What Davos failed to address is the necessary new regulatory shape for an industry gone too wild with the utmost help from central bankers that now ends up on the wrong side of all trades. Minefields of OTC derivatives and "asset" positions saddled with high default rates need yet to be cleared as the next financial Tsunami gains speed. Seeing all asset bubbles from the FIRE (finance, insurance, real estate) economy deflate at different speeds, now again engulfing stock markets, banks worldwide have an 800-pund gorilla in their vaults that may run amok in 2010. I am talking government bonds where prices and resulting yields will no longer be derived from ratings and macroeconomic outlooks but from market reactions to the coming flabbergasting revelations how bad the economic outlook for the Western world really is. Greece's skyrocketing spread to German benchmark Bunds - up to 400 basis points last week - is a strong reminder that sovereign defaults are not the exception but the norm. 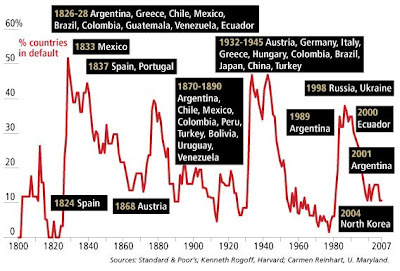 Throughout history, rich and poor countries alike have been lending, borrowing, crashing and recovering their way through an extraordinary range of financial crises…. The interpretation we got from the book is that there is little reason to think that this time is any different from numerous financial crises through the ages and that this super-cycle of rolling bubbles will eventually end up in Sovereign defaults and/or higher inflation. 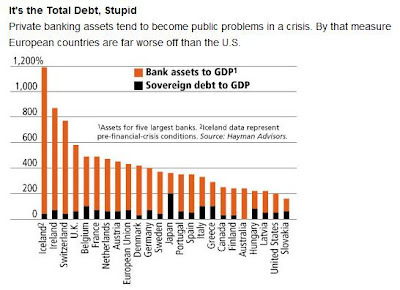 GRAPH: Forbes Magazine warns of ongoing crises that may hurt especially bondholders: "Sovereign defaults--when a country stops paying its bills--go in waves, often following global financial crises, wars or the boom-bust cycles of commodities. Some countries, like Spain and Austria, mend their ways; others, like Argentina, are repeat offenders. As I have not yet come across the example of a major economy that really shows a will to at least consolidate its budget deficits I stay with my opinion that hyperinflation is on the way as was always the case after bubbles built on debt. Hyperinflation, the inevitable end of all fiat currencies in history, will ironically have one positive effect. According to Austrian historian Eugen Maria Schulak, co-author of a recently published (German language) book on the Austrian School of Economics, no rulers have ever survived hyperinflation, leading to many radical political changes. Reflecting the recent strength of Federal Reserve Notes (FRN) vs. the Euro the financial outlook for the old continent is most precarious as the next chart shows. At the same time governments around the world plan to raise a record $5.4 Trillion in debts, showing no sign of consolidation while trying to compensate plummeting tax income. GRAPH: Governments around the world will issue an estimated $5.4 trillion in debt this year, triple the five-year average for industrial countries, says Hayman Advisors. Any hopes for a quick recovery in Europe are dashed by the harsh reality: Eurostat reported last Friday a December unemployment rate of 10% after 8.2% a year earlier. Official EU Inflation came in at 1.0% in January after 0.9% in December. Don't put this number to a rigorous test as it is a result of deflating prices for consumer items one does not buy every day, e.g. DVD players etc. Energy costs have remained on a high plateau due to oil holding well above $70. For a reality check on the US and Chinese economies I refer you to Mike Shedlock's blog, who does not tire painting the bleakest of bleak pictures. Prepare yourself for a roller coaster ride in a year that will see a multitude of sudden repricings in all asset classes. After all we are not one step nearer to recovery as long as the Volcker plan does not become reality in the USA. In Europe, the ride may become a level rockier due to mounting worries about the sustainability of the Euro due to the debt bubble. What is frightening, though, is the fact that governments still fail to recognize the fundamental problem of unbacked fiat currencies and want to continue on a way that will be looked upon as a historical abberation from the kind of money system that worked for 6,000 years and still does today: gold. 39 years of an entire world ruled by fiat money and now finding itself in tatters do not pass the historical test for stability. Is the world rapidly spinning towards a monetary and financial quake never seen before? A 48-hour snapshot of earth-moving news appears like a procession of dark grey swans. The delays in Federal Reserve Chairman Ben Bernanke' reconfirmation and Paul Volcker's victory in major parts of the banking reform are the most visible signs of unprecedented strains in the financial system. Add in that Treasury Secretary Timothy Geithner may soon retire from his post for his role in the AIG scandal which must be stinking like fish in the sun after 3 days. After all the SEC and the NY Fed mulled nothing less than "national security status" for AIG in order not to disclose the final receivers of $182 billion in government bailout money. Geithner was NY Fed president during this time, conferring frequently with his predecessor at the Treasury, Henry Paulson. Geithner and Paulson will testify today befor a House Committee on oversight. Perhaps it would be best if someone showed Timmy to the door . . .
Federal Reserve Chairman Ben S. Bernanke juggled an interest-rate meeting with phone calls to senators as he rolled up more support for a confirmation vote Majority Leader Harry Reid said may occur tomorrow or Jan. 29. “He has the votes to be confirmed,” Senator Judd Gregg, a New Hampshire Republican, told reporters in Washington. Forty-nine senators have said they would vote for the 56- year-old Fed chief or were inclined to support him, while 20 were opposed. Republicans were split 13-13 on a second term for Bernanke, while Democrats favored the Fed chief by a 35-6 margin, according to a count by Bloomberg News. Thirty-one senators were undecided or declined to comment. IMHO Bernanke will remain at the top of the Fed. Or would you, let alone anybody with real insider knowledge of America's debt problem, want to jump in his shoes? Oh, and the outcome of today's FOMC meeting? Expect a continuation of ZIRP and few verbal changes with an emphasis of steady low inflation but worries about the job market. To put the US deficit disaster in a few simple numbers, Stewart Dougherty, a specialist in inferential analysis,comes up with a mind-boggling claim. Even if the government would confiscate all private property to repay debts the nation would still owe a staggering $66 Trillion. A look into 2009 disastrous spending figures makes you look for the next man-hole. "Putting Fiscal Year 2009’s $9,000,000,000,000.00 ($9 trillion) deficit another way, 17% of America’s private wealth, accumulated over a period of 235 years, was wiped out by just one year’s worth of government deficit spending insanity," Dougherty wrote. According to the Federal Reserve’s most recent report on wealth, America’s private net worth was $53.4 trillion as of September, 2009. But at the same time, America’s debt and unfunded liabilities totaled at least $120,000,000,000,000.00 ($120 trillion), or 225% of the citizens’ net worth. Even if the government expropriated every dollar of private wealth in the nation, it would still have a deficit of $66,600,000,000,000.00 ($66.6 trillion), equal to $214,286.00 for every man, woman and child in America and roughly 500% of GDP. If the government does not directly seize the nation’s private wealth, then it will require $389,610 from each and every citizen to balance the country’s books. State, county and municipal debts and deficits are additional, already elephantine in many states (e.g., California, Illinois, New Jersey and New York) and growing at an alarming rate nationwide. In addition to the federal government, dozens of states are already bankrupt and sinking deeper into the morass every day. The government continues to dig a deeper and deeper fiscal grave in which to bury its citizens. This year, the federal deficit will total at least $1,600,000,000,000.00 ($1.6 trillion), which represents overspending of $4,383,561,600.00 ($4.38 billion) per day. (The deficit during October and November, 2009, the first two months of Fiscal Year 2010, totaled $296,700,000,000.00 ($297 billion), or $4,863,934,000.00 ($4.9 billion) per day, a record.) Using the GAAP accounting method (which is what corporations are required to use because it presents a far more accurate and honest picture of a company’s finances than the cash accounting method primarily and misleadingly used by the U.S. government), the nation’s fiscal year 2009 deficit was roughly $9,000,000,000,000.00 ($9 trillion), or $24,700,000,000.00 ($24.7 billion) per day, as calculated by brilliant and well-respected economist John Williams (www.shadowstats.com). Fiscal Year 2010’s cash- and GAAP-accounting deficits will likely be worse than 2009’s, given government bailout and new program spending that is on steroids and psychotic. And you think this is gonna end like a Hollywood movie? But those were only the most imminent problems of the US financial sector. Don't think Europe fares any better. FT Alphaville cites Morgan Stanley’s Huw van Steenis who reckons Europe’s big banks will need to find €83bn by 2012, or shrink their risk-weighted assets by 11 per cent, or €1,000bn. We think the market has underestimated the impact of Basel proposals on distributions and this, plus political uncertainty, means dividends will be very constrained. We cut dividend forecasts for DBK, CASA, CSG, GLE, BBVA, UCG, ISP, BNP, POP & KBC. We think banks would be likely to reprice loans and reduce credit further – we already model less than 1% loan growth for European banks in 2010. We think Basel 3 and US proposals could mean – unless amended – corporates face a higher cost of credit and need to take on more liquidity risk, as the banks are asked to shed risk. European governments will need to borrow a record €2,200 Trillion from capital markets this year to finance budget deficits, according to Fitch Ratings. The projected borrowing is a 3.7% increase on the €2.120 Trillion raised in 2009, as governments continue to issue sovereign bonds and short-term bills. Fitch said France would be the biggest issuer this year, raising an estimated €454bn, then Italy at €393bn, Germany at €386bn and the UK at €279bn. So we will see record borrowing and no reductions in deficits as European governments keep hanging on to their old way of deficit spending, guaranteeing a rise in European yields across the board. After downgrading Greece ratings agencies might for once try to spot payment problems in the next endangered EU countries like Portugal, Italy, Ireland, Austria and Spain. Find the full Fitch report here (PDF). Standard & Poor’s Ratings Services today revised to negative from stable its outlook on the ‘AA’ long-term rating on Japan. At the same time, we affirmed our ‘AA’ long-term and ‘A-1+’ short-term local and foreign currency sovereign credit ratings on Japan. The outlook change reflects our view that the Japanese government’s diminishing economic policy flexibility may lead to a downgrade unless measures can be taken to stem fiscal and deflationary pressures. 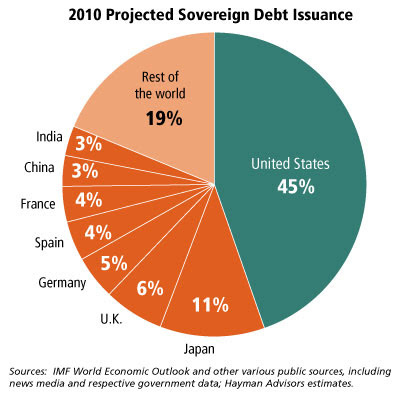 At a forecasted 100% of GDP at fiscal year-end March 31, 2010, Japan’s net general government debt burden is among the highest for rated sovereigns. Moreover, the policies of the new Democratic Party of Japan (DPJ) government point to a slower pace of fiscal consolidation than we had previously expected. Combined with other social policies that are not likely to raise medium-term trend growth and with persistent deflationary pressures, we forecast that Japan’s net general government debt to GDP will peak at 115% of GDP over the next several years. The affirmation of the ‘AA’ sovereign ratings on Japan rests on the country’s strong net external asset position, the yen’s status as a reserve currency, the financial system’s resiliency throughout the recent global recession, and the economy’s diversification. We believe that these strengths will keep the government’s rating in the ‘AA’ category, even if further fiscal consolidation leads to a one notch downgrade. A strong net external asset position and the yen’s key international currency position provide ample external liquidity and good access to global capital markets. Japan is the world’s largest net external creditor in absolute terms with projected net assets of an estimated 309% of current account receipts at the end of 2009. The country’s current gold and foreign exchange reserves of over US$1 trillion are second only to China’s. Standard & Poor’s expects Japan’s net external assets to rise further in the coming years due to continued current account surpluses. The ratings on Japan could fall by one notch if economic data remain weak and measures to boost medium-term growth are not forthcoming, given the country’s high government debt burden and its weak demographic profile. Another intercontinental act of desperation is in the line. Reportedly Greece is going on an Asian roadshow, trying to raise $10 billion there. Today Greek government paper traded up to a record spread of 331 basis points compared to German Bunds.Find the details of Greece's intentions in the Wall Street Journal.The European Central Bank is still complacent despite banks on the brink all over the world. Question: What lessons have you learned from past crises as you deal with the fallout of the current one? Mr. Trichet: Lesson number one: We have to considerably reinforce the resilience of the financial system. I understand the infuriation of our public opinion because the global financial system was much too fragile. That being said I would guard against scapegoating. As a matter of fact the full system has to be improved and redressed and not only some parts and parcel of it. To fix a systemic failure, you have to fix the whole system. Another lesson of those crises is the necessity of rapid decisions when and where needed. The ECB proved a capacity to decide rapidly when the crisis started and I have to say hat the central banks all over the world avoided the depression because we, together did not lose time. It was a matter of weeks and, at certain moments a question of days. A third lesson valid for all crises and particularly for the present one is that institutions and individuals have to remain calm and never to lose sang-froid. Keeping composure in very demanding circumstances is always necessary to handle correctly the unfolding of a crisis. Question: Do you think that it might make sense to have some kind of mechanism within in euro zone to allow the ECB or some other body in the EU to take more control of a country’s budget as a way of giving the markets more confidence and helping guide that country, such as the case of Greece? As an example at the moment we see one government – the Irish government - is looking energetically at what it has to do. Ireland was in a situation that was difficult and a number of courageous and convincing decisions have been taken. I expect and I am confident that in the demanding situation in which Greece is, its government will also take the right and necessary decisions to implement the goal which has been fixed, namely to have a public deficit below 3% (deficit as a share of GDP) as early as 2012. Question: Do you think that’s realistic? Mr. Trichet: It is what the Government has committed to do. I trust it is not only realistic but also necessary in the present demanding circumstances to take the right decisions to meet the goal. I approve the ambition. I approve the 2012 deficit target of below 3 %. Is this the next case of a central banker being too optimistic, blaming future different problems on an unforeseeable changes? One prediction is highly likely to come true: A toned-down Davos World Economic Forum, overshadowed by the death of the security chief in the night before the opening, will not come up with the bold resolutions it will take to reform the global financial fiat money system which proves one more time in the last 300 years that unbacked money has never been working. This 6 minute video got posted to Youtube 3 days ago by EconStories and has already been viewed more than 65,000 times. A former aide to a Scottish Government minister who left his post after a dispute over an internet blog has been charged with breach of the peace. Mark MacLachlan, 47, was employed as a constituency office manager by Mike Russell, the Education Secretary, but he resigned after it emerged that he had used a blog to smear political rivals. Lothian and Borders Police yesterday confirmed that a 47-year-old man had been arrested and charged in connection with an alleged breach of the peace. It is understood that police took action in response to e-mails allegedly from the blogger to his former boss. A report has been sent to the Procurator Fiscal. Mr MacLachlan had run the Universality of Cheese blog under the pseudonym Montague Burton. It contained allegations about the personal lives of politicians and other public figures. The blog was taken off-line late last November after Mr MacLachlan was revealed to be its author. This is the first time i have seen this. Typically breach of the peace, is making a noise in the public arena that others are disturbed by often, drunks shouting and so on. But this variation is new, apparently its shouting out and or being abusive in cyberspace. This incident reaffirms my stance that the UK is several horse lengths ahead in the race to realize George Orwell's "1984." "Breach of peace" is such a wide-ranging offence open to all interpretations so that it can potentially capture any kind of human behaviour, marking it "out of the norm." Just in case you have not read "1984" by now, get it by clicking the Amazon link below. It is currently ranked #343. "Fed E-Mails On AIG Show Disdain For Transparency." Emails between senior Federal Reserve Board officials obtained by the Huffington Post reveal an organization dedicated to resisting transparency -- so much that officials stymieing congressional attempts to get them to disclose vital information cynically put the word "transparency" in quote marks. The e-mails are part of a trove of 250,000 documents the NY Fed's board produced in response to a subpoena issued by the House Committee on Oversight and Government Reform. In November, Congress was trying to get the New York Federal Reserve to disclose details about payments to its counterparties that were paid for with $27.1 billion in taxpayer money. Federal Reserve Board Chairman Ben Bernanke was asked at a committee hearing by Rep. Carolyn Maloney (D-N.Y.) whether he would tell Congress about the identities of the counterparties. "I think that information can be made available," Bernanke told her. The answer led to news articles suggesting that the information would soon be released, but the Fed had other ideas. Brian J. Gross, special assistant to the board serving as congressional liaison, forwarded around the testimony and asked senior officials what they suggested. "My suspicion is that we will not be able to provide this info. So, we'll need a strong CLO [Congressional Liaison Office] response!!" replied Scott Alvarez, the Board's general counsel. The Fed then decided it was time to burnish its public-relations image. "I think we need to consider a change in our press strategy (I know this isn't like us....but with the 'transparency' efforts that the Board is undertaking, it could fit well into that....)," wrote Sarah Dahlgren, who was heading up the New York Fed's AIG operations. Gross wrote to senior officials again following a critical Wall Street Journal editorial. Perhaps someday the feds will even explain to the taxpayers which AIG creditors had to be rescued and why. This is emerging as a real rallying cry on the Hill ... and further contributing to complaints about "Fed secrecy." Rep. Darrell Issa (Calif.), the ranking Republican on the House committee and the driving force behind the chamber's AIG investigation, said that the e-mails show an institution that feels no need to be accountable to the public and disdains the very notion of transparency. Treasury Secretary Tim Geithner was president of the New York Fed when it bailed out AIG. Sen. Byron Dorgan (D-N.D.) has said he will oppose Bernanke's reconfirmation if he continues to stonewall Congress in its attempt to divine who the Fed has given money to and why. "The Federal Reserve Bank of New York last week delivered detailed records requested by the House Committee on Oversight and Government Reform related to American International Group, Inc. We look forward to responding to questions about the documents at the Committee's hearing later this week," Deborah Kilroe, a spokeswoman for the New York Fed, told HuffPost. "We believe that these materials demonstrate that the New York Fed's actions assisted AIG in ensuring the accuracy of its disclosures and protected important U.S. taxpayer interests." She also referred to this statement. Issa sees the culture that has been fostered as a failure of leadership. "It's become very clear that 'transparency' was nothing but a burden and political obstacle for the Fed to overcome," he told HuffPost. "Decisions regarding disclosure were made based on public relations, rather than public benefit. This culture of secrecy was so pervasive throughout the Fed, it raises legitimate questions about the leadership of those who were charged with over-seeing the AIG deal and decisions to hide public disclosure at all costs." In a press release touting the release of the 250,000 pages to the committee, the Fed said: "We believe that these materials demonstrate that the FRBNY's actions assisted AIG in ensuring the accuracy of its disclosures and protected important U.S. taxpayer interests." These are not the only questions left open the by the Fed. Who got the $2 TRILLION in Bailout Money? It is less than a week ago that I expected political changes to be the main cause for changes in the financial crisis. Events are outpacing themselves meanwhile. US President Barack Obama announced the biggest changes in banking in 10 (details here at Bloomberg) years by essentialy re-repealing the Glass-Steagall Act that had separated investment banks and such taking deposits between 1933 and 1999, and the announcement to curb banks' proprietary trading with depositor's money. This move can be clearly seen as a victory of former Federal Reserve Chairman Paul Volcker who already warned as early as 2006 that deficits were unsustainable and that current chairman Bernanke would have a tough time. VIDEO: Note that Paul Volcker stands to the right of the president, with Geithner a distant 3rd. Is Geithner moving away because Obama suddenly abandoned Wall Street for Main Street? Mr. Volcker, who currently heads the President's external panel of advisers on economic recovery, has consistently advocated a more aggressive approach to fixing the financial system that has not, until now, found favour within the administration. Volcker ist the last Fed chairman that successfully drove the USA out of a recession coupled with high inflation, high unemployment and record high interest rates north of 21% in the early 1980s. He was succeeded by Alan Greenspan, who, maybe shocked by the crash of '87 when he was barely 2 months in office, went on an 18-year spree of easy money, leading to the current catastrophic financial situation. The British Telegraph has more on Volcker's gaining influence here. The Washington Post was quick to note last Friday, "Obama's 'Volcker Rule' shifts power away from Geithner." The story is an accolade to Volcker that makes one ask whether Geithner will ever get a bell-boy job on Wall Street in the future. Reuters defended him here. For much of last year, Paul Volcker wandered the country arguing for tougher restraints on big banks while the Obama administration pursued a more moderate regulatory agenda driven by Treasury Secretary Timothy F. Geithner. Thursday morning at the White House, it seemed as if the two men had swapped places. A beaming Volcker stood at Obama's right as the president endorsed his proposal and branded it the "Volcker Rule." Geithner stood farther away, compelled to accommodate a stance he once considered less effective than his own. The moment was the product of Volcker's persistence and a desire by the White House to impose sharper checks on the financial industry than Geithner had been advocating, according to some government sources and political analysts. It was Obama's most visible break yet from the reform philosophy that Geithner and his allies had been promoting earlier. Senior administration officials say there is now broad consensus within the White House and the Treasury for the plan advanced by Volcker, who leads an outside economic advisory group for the president. At its heart, Volcker's plan restricts banks from making speculative investments that do not benefit their customers. He has argued that such speculative activity played a key role in the financial crisis. The administration also wants to limit the ability of the largest banks to use borrowed money to fund expansion plans. The proposals, which require congressional approval, are the most explicit restrictions the administration has tried to impose on the banking industry. It will help to have Volcker, a legendary former Federal Reserve chairman who garners respect on both sides of the aisle, on Obama's side as the White House makes a final push for a financial reform bill on Capitol Hill, a senior official noted. Advocates of Volcker's ideas were delighted. "This is a complete change of policy that was announced today. It's a fundamental shift," said Simon Johnson, a professor at MIT's Sloan School of Management. "This is coming from the political side. There are classic signs of major policy changes under pressure . . . but in a new and much more sensible direction." Industry officials, however, said they were startled and disheartened that Geithner was overruled, in part because they supported the more moderate approach Geithner proposed last year. Obama's first move against Wall Street is certainly a good popularity offensive, but it has to be followed up with a true move to help Main Street. Can Prop Trading Be Outlawed In a Globalised Financial World? Obama's proposal to ban proprietary trading at banks bailed out with taxpayer's money is certainly placative. But it will depend on his ideas for Main Street to win over the American public - he gives a speech later today. Back to prop trading: With the top players residing in every major financial centre it will take some time to sort out supranational problems in enforcing this rule. As Long as the London offices can go unhindered as before, this is just more lipstick for the pig. Market implications can be expected to be wide ranging, judging from the almost 600-point decline in the Dow Jones Industrials Average since rumors about Obama's radical plans began to make the rounds. Practical details - market making!!! - have yet to be discussed to arrive at a sensible reform that does not choke markets at one. Unfortunately this will happen anyway as declining liquidity has never benefitted markets. Help for stock markets may come from a so far overlooked side: Hyperinflation, which will begin to run later this year, driven by food prices. Taking the example of Zimbabwe, the latest nation history that saw unprecedent hyperinflation, I still remember that one could double his money in real terms in the stock market. Give me any Dow level - 20,000; 50,000 or 1 million - I am perfectly content - as long as you give me a time-correlated forecast for a BigMac at the same time. Stocks may actually pose a good inflation hedge, as long as you avoid the FIRE (finance, insurance, real estate) sector. Even if the sky falls down, companies close to the consumer (food, ammunition, basic amenities, household staples) may be a good bet in the coming depression accompanied by hyperinflation. And as long as trigger-happy Barack Obama continues his perspectiveless wars in Asia, the arms sector will show a good performance too. Nobody is a worse bargainer than the Pentagon. But this leads to another upcoming post, work-titled: A global economy without arms and wars. So far I have not found material on this utopian thought. I sign off with the heads-up that Ben Bernanke still has not been reconfirmed, 6 days before the end of his first term. If he does not get reconfirmed Vice Chairman Donald Kohn will take the helm until a new Chairman is appointed. Congressional critics of Mr Bernanke, some fearful for their own re-election prospects and others critical of the Fed’s management of the financial crisis, moved against him, adding to a list of proclaimed no votes. Democratic senators Barbara Boxer from California and Russ Feingold from Wisconsin, said that they would oppose Mr Bernanke in a vote that has been promised before the end of his term on January 31. Mr Bernanke needs 60 votes to secure confirmation as a result of procedural blocking tactics. Donald Kohn, the Fed vice-chairman, would serve as interim head of the bank if Mr Bernanke’s confirmation were rejected or delayed. Other names circulated as possible permanent alternatives have included Mr Kohn, Lawrence Summers, the president’s adviser, and Alan Blinder, the Princeton University economist. White House and Treasury aides said that President Barack Obama and Tim Geithner, Treasury secretary, were confident that Mr Bernanke would be confirmed by the Senate five months after the president announced his renomination. Oh no, don't ask me how this will make the VIX and FX markets go crazy. The Federal Reserve is on track to end a program, begun during the financial crisis, that provides U.S. dollars to institutions overseas through foreign central banks. In the depths of the crisis, the Fed shipped more than $500 billion overseas through arrangements with other central banks, in exchange for their currencies. Such lending is down sharply and officials expect to end the program according to plan on Feb. 1. As of January 13, the Fed held $5.9 billion in dollar "swap" agreements with foreign central banks, down from $63 billion in early September and $583 billion in late December 2008 as the financial crisis was worsening. Before the crisis, many foreign financial institutions depended on short-term money markets to borrow dollars to fund their holdings of U.S. dollar assets, like mortgage-backed securities. These markets froze when the crisis hit and many foreign banks and investors found themselves short of the dollars they needed to finance their holdings. The central banks stepped in, with the Fed offering dollars to foreign central banks like the Bank of England and the European Central Bank, which in turn lent dollars to financial institutions in their local markets. The move helped to stem the credit-market panic. The Fed said in December it was "working with its central bank counterparties to close its temporary liquidity-swap arrangements by February 1." With the Fed's next policy meeting coming on Tuesday, Jan. 26th, and Wednesday, Jan. 27th, it is likely to formally announce plans to shut the program down. Given that the Fed has reduced its exposure to a few billion - what's a billion in a world drowning in Trillions of debt - this appears to be a rather technical matter. While media attention circles around a possible Greek default, behind-the-scene action is designed to help cushion the foreseeable fallout from Central Eastern European (CEE) loans, burdening the balance sheets of primarily Austrian and German banks. According to a press release by US financial group CRG Capital the company has established a fund that wants to raise €200 million in order to buy up distressed CEE debt. IFC, a member of the World Bank Group; the European Bank for Reconstruction and Development (EBRD); and CRG Capital, a leading restructuring fund manager have launched the first fund dedicated to investing in distressed assets in Central and Eastern Europe. IFC is the International Finance Corporation, an affiliate of the World Bank Group. The CEE Special Situations Fund will invest in underperforming companies to support recovery in the region. It is being established by CRG Capital. The fund aims to raise €200 million, with EBRD, IFC, and CRG Capital initially committing a total of €36 million. It will focus on the acquisition, turnaround, and resolution of corporate distressed assets in Central and Eastern Europe. Both releases ended with the usual well-wishings of top brass of all parties involved. Austrian daily "Der Standard" reported more details in its online edition. According to the German language report CRG Capital is based in Delaware and relies on a team of 90 lawyers reviewing deals. CRG wants to focus on Poland, Romania, Ukraine, the Baltics and Hungary. Presuming the credit-worthiness of at least 2 of the 3 parties involved it should not be a problem to raise the targeted €200 million. If this will be enough to turn around the dire situation in CEE remains to be proven. EXECUTIVE SUMMARY: I do not buy into any recovery hopes. As 2010 may become the year where we finally kiss goodbye John Maynard Keynes' deficit spending ideology out of pure necessity, I want to remind readers of JMK's only quote I fully agree with; "The market can stay irrational longer than you can stay solvent." Given the new paradigms created in 2009 - Peace Nobelist Obama and Time's man of the year Bernanke - the risks lie definitely on the political side. E.g. note that Bernanke has not been confirmed only 11 days before the end of his first term as the Fed head that will enter history as the so far biggest money printer. While all central bank chiefs have done a terrible job in forecasting since the onset of the credit crisis in August 2007, uncertainty now rises one more level as official data has become questionnable in several nations, beginning with China's creative GDP accounting and ending with outright data fraud in several EU member nations. I place the US somewhere in between. Calls from the OECD last year to change accounting in order to paint a rosier picture are not exactly supporting my trust into official numbers. Having read screens of 2010 projections without end I notice that analysis focuses on political risks to an extent not seen in the last 25 years. My perspective is not limited to 2010 but rather the 2010/2011 period as I fear a double dip depression and I have a 20-year history of forecasting price or other changes way too early. The economic outlook is fairly easy: Consumers worldwide are scrambling to pay off their revolving credit i.e. credit cards while burdened with mortgage payments. At the same time demand contraction adds to unemployment while hopelessly overindebted Western nations get squeezed between eroding tax revenues and higher social transfers. So far fiscally irresponsible politicians had an easy life with the key central banks holding interest rates at artificially low levels. But in my opinion this manipulation of rates may come to an end soon. It is simply not rational that the riskiest economic period since the 1930s converges with the lowest interest rates on record. This game may go on a little more but it should be self-understood that not all so called "developed" nations can rely on the rest of the world to blow up debt-to-GDP ratios to Japan's current 200%. We cannot be all in debt at the same time. It also stifles any hopes of recovery as central banks will have to raise interest rates with hyperinflation on the horizon. The West's creditors are getting an idea that all the debt they hold could get inflated away, leaving them with what was always left at the end of a bubble: a lot of promises not worth their paper. The Eurozone started out under a now forgotten set of convergence criteria that limited the debt-to-GDP ratio at 60% while also prescribing a 3% limit on budget deficit growth. These Maastricht criteria have silently been thrown out the door as the list of European countries-in-crisis gets longer with every month. While I have been bearish on Federal Reserve Notes (FRN) since the beginning of this blog, rapidly unfolding events in the Eurozone have created an equilibrium in the structural weakness of both unbacked fiat currencies. Greece's troubles unmask the Euro not so much as a currency but an experiment - that will end as ALL European currency unions in the last 3 centuries: as a disaster, throwing the old continent into a possible chaos of sovereign defaults. This may not happen in 2010 as the EU will do everything to stimulate growth. The ECB has already signalled it is ready for another year of the cheapest money in history. The Fed takes the same complacent view. Add in that everything that is pesented as a recovery is the result of fiscal stimuli while burned-out consumers will face a string of rising public service costs. Germany, the industrial locomotive of the Eurozone expects every 4th car dealership to close its doors forever in 2010 after a cash for clunkers system benefitted mainly Asian micro compact car producers in 2009. Greece folds under its public expenditures and I need to drink the same kool aid to believe the country's and the ECB's view that it will manage to cut deficit growth from currently 12% to 3% within 3 years. 25% unemployment in Spain, Austria's banking problems in the strongly contracting Central Eastern European countries, a declining UK economy suffering double from a crashing pound (no more sterling for those,) and bankrupt communities all over America and Europe do not spell "growth" to me - except a desperate continuation to paper it all over with more central bank money that has held up markets despite the terrible fundamental outlook. Realizing that globalization has led to the worldwide phenomenon of indebtedness the last decade's euphoria for Keynes deficit spending may go out of fashion very soon for a simple reason: One more time in history it is payday as investors will discover that too much leverage always leads to the same inevitable end and the unwinding process has still a long way to go. According to the latest BIS figures from June 2009 (pdf), the notional amount of OTC derivatives has again surpassed the $600 Trillion mark while gross market value has declined from $32 Trillion to $25 Trillion. 60% of these are interest rate bets. Maybe this explains why the ECB and the Fed have already announced to remain on auto-pilot for at least another year. Yeah, yeah, they will always say they are vigilant. But this kind of vigilance led to the biggest credit crunch in history. Politicians worldwide will run into a wall of higher interest rates in 2010 when investors begin to request an adeqaute risk premium again. 10-year rates around 5% while the economies are in a free fall and true consumer inflation running easily above that level should make it clear that we will see an inevitable wave of rapid repricing of public debt. Why Do Soybeans Cost 60% More in China Than On "World Markets?" I do not have to dive deeper into contorted commodity markets. Eric de Carbonnel does an excellent job keeping us updated on worrisome events like the fact that soybeans trade at a 60% premium to so called world market prices, using Chinese price data. With such divergences turmoil can be seen ahead and latest reports that tea skyrocketed in the UK are an early warning indicator of more food inflation to come. Marketskeptics.com warned already last November that US agricultural production is on the decline. Helpless governments will probably do their best in aggravating the crisis. Hooked to debt-spending, declining tax revenues come hand in hand with higher social expenditures due to an aging population amidst steadily rising unemployment. If we see 2009 as the year that was survived thanks to fiscal stimuli, 2010 could become an annus horribilis. Looking at the example of the Bank of England, which printed hundreds of billions of pounds, and now faces an anyway sinking UK economy, continental Europe and the US will continue on this outdated path of money printing excesses until all dams break and investors stampede into "real" assets, meaning anything you can store in a vault, the deep freezer or the backyard. Copper hoarding Chinese pig farmers may give you an idea of what's to come when we see declining trust into the purchasing power stability of unbacked paper money. Expecting a general meltdown within the next 24 months I have squared all non-producing equity positions, save a few bets on non-US silver juniors and rare metal companies. Being long precious metals in bullion and the ZKB ETFs appear the best way to weather the coming financial hurricane. I prefer to be out a year ahead than a day too late. 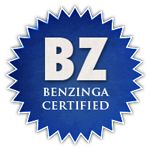 Ladies and gentlemen, I have the pleasure to come up with the highest gold price estimate - and it is well reasoned. Gregor Hochreiter, Austrian economist and co-founder of the Institut für Wertewirtschaft, arrives at at theoretical price of more than €25,000 per troy ounce of gold, were the Euro fully backed. Mr. Hochreiter took a look at the correlation between Eurozone gold holdings and money supply figures, only to arrive at theoretical gold prices that leave all other gold bull forecasts in the dust. VIDEO: Austrian economist Gregor Hochreiter paints a picture of the price of gold if the Euro would become 100% gold backed, Anybody against $40,000/oz gold? The economist compared the value of gold holdings to money supply aggregates based on data from the ECB. Money supply growth rates are the annual growth during this 10-year period. These are theoretical values that may become price targets when the final stage of the disintegration of the Euro becomes doomsday reality. Note that the these calculations are based on end-2008 figures when gold traded at $850. In the Austrian school of economics inflation is equalled with the expansion of money supply. Hochreiter said that this equals to a loss of purchasing power of 57% since the inception of the Euro. My lying wallet tells me the same story. No comment needed here. Bloomberg reports latest developments in Bloomberg's fight against the Fed, seeking disclosure about which banks got roughly $2 Trillion in bailout money since the onset of the credit crisis is August 2007. Latest developments appear to have shifted the score back to an even 2 : 2. The Federal Reserve asked a U.S. appeals court to block a ruling that for the first time would force the central bank to reveal secret identities of financial firms that might have collapsed without the largest government bailout in U.S. history. The U.S. Court of Appeals in Manhattan will decide whether the Fed must release records of the unprecedented $2 trillion U.S. loan program launched primarily after the 2008 collapse of Lehman Brothers Holdings Inc. In August, a federal judge ordered that the information be released, responding to a request by Bloomberg LP, the parent of Bloomberg News. "This case is about the identity of the borrower,” said Matthew Collette, a lawyer for the government, in oral arguments yesterday. “This is the equivalent of saying ‘I want all the loan applications that were submitted." Bloomberg argued that the public has the right to know basic information about the "unprecedented and highly controversial use" of public money. Banks and the Fed warn that bailed-out lenders may be hurt if the documents are made public, causing a run or a sell-off by investors. Disclosure may hamstring the Fed’s ability to deal with another crisis, they also argued. The lower court agreed with Bloomberg. "The question is at what point does the government get so involved in the life of the institution that the public has a right to know?" said Charles Davis, executive director of the National Freedom of Information Coalition at the University of Missouri in Columbia. Davis isn’t involved in the lawsuit. The ruling by the three-judge appeals panel may not come for months and is unlikely to be the final word. The loser may seek a rehearing or appeal to the full appeals court and eventually petition the U.S. Supreme Court, said Anne Weismann, chief lawyer for Citizens for Responsibility and Ethics, a Washington advocacy group that supports Bloomberg’s lawsuit. New York-based Bloomberg, majority-owned by Mayor Michael Bloomberg, sued in November 2008 after the Fed refused to name the firms it lent to or disclose the amounts or assets used as collateral under its lending programs. Most were put in place in response to the deepest financial crisis since the Great Depression. "Bloomberg has been trying for almost two years to break down a brick wall of secrecy in order to vindicate the public’s right to learn basic information," Thomas Golden, an attorney for the company with Willkie Farr & Gallagher LLP, wrote in court filings. He said the Fed may be trying "to draw out the proceedings long enough so that the information Bloomberg seeks is no longer of interest." The lawsuit, brought under the U.S. Freedom of Information Act, or FOIA, came as President Barack Obama criticized the previous administration’s handling of the $700 billion Troubled Asset Relief Program passed by Congress in October 2008. Obama has said funds were spent by the administration of former President George W. Bush with little accountability or transparency. FOIA requires federal agencies to make government documents available to the press and public. In arguments yesterday, Golden disputed the Fed’s contention that it doesn’t have to reveal the information because it hasn’t since its inception. "The rules changed since 1913 with FOIA’s enactment," he said. Much of the debate centered on the potential harm to banks if it was revealed that they borrowed from the Fed’s so-called discount window. Collette, the government lawyer, said banks don't do that unless they have liquidity problems. Yvonne Mizusawa, a lawyer for the Fed, said that if banks stopped using the discount window because of a perceived stigma, it may affect the Fed's ability to set monetary policy. Golden denied that revealing the loan information will hurt banks. He said that the central bank and the Clearing House Association LLC, an industry-owned group that joined the Fed in its bid to overturn the lower court order, came up with only two examples of meltdown-related bank runs: Citigroup Inc.’s offices in Asia and Northern Rock in the U.K.
During yesterday’s hearing, the appeals court judges asked about the "staleness" of the information Bloomberg seeks. Golden said the information would concern banks that got help from the Fed from about November 2007 to May 2008. "This court has nothing in the record to say whether this information is stale now or not," said Robert J. Giuffra Jr., a lawyer for the Clearing House at Sullivan & Cromwell LLP in New York. "Banks will not use the discount window if they know the information will be available in, say, 20 days." The Fed’s balance sheet debt doubled after lending standards were relaxed following Lehman’s failure on Sept. 15, 2008. That year, the Fed began extending credit directly to companies that weren’t banks for the first time since the 1930s. Total central bank lending exceeded $2 trillion for the first time on Nov. 6, 2008, reaching $2.14 trillion on Sept. 23, 2009. In her Aug. 24 ruling, U.S. District Judge Loretta Preska in New York said loan records are covered by FOIA and rejected the Fed’s claim that their disclosure might harm banks and shareholders. An exception to the statute that protects trade secrets and privileged or confidential financial data didn’t apply because there's no proof banks would suffer, she said. In its appeal, the Board of Governors of the Federal Reserve System argued that disclosure of "highly sensitive" documents, including 231 pages of daily lending reports, threatens to stigmatize lenders and cause them "severe and irreparable competitive injury." Historically, the type of government documents sought in the case has been protected from public disclosure because they might reveal competitive trade secrets, Davis said. Laws governing such disclosures may be due for a change, he said, following the far-reaching U.S. bailout. "If you are in need of a bailout and turn to the federal government and say, 'help,' with that comes some requirements in terms of transparency," Davis said. In court papers, New York-based Clearing House, which processes payments between banks, assailed the judge’s decision for what it said were legal errors, such as applying the wrong standard in weighing the exception to FOIA. The group includes ABN Amro Bank NV, a unit of Royal Bank of Scotland Plc, Bank of America Corp., The Bank of New York Mellon Corp., Citigroup Inc., Deutsche Bank AG, HSBC Holdings Plc, JPMorgan Chase & Co., US Bancorp and Wells Fargo & Co.
More than a dozen other groups or companies filed amicus, or friend-of-the-court, briefs, including the American Society of News Editors and individual news organizations. The judge postponed the application of her ruling to allow the appeals court to consider the case. Also yesterday, the same appeals panel heard arguments in a lawsuit brought by News Corp. unit Fox News Network seeking similar documents. U.S. District Judge Alvin Hellerstein in New York sided with the Fed in that case and refused to order the agency to release the documents. "The press is looking for facts so that the public can make informed decisions," Steven Mintz, a lawyer for Fox at Mintz & Gold LLP in New York, told the panel. Giuffra, the lawyer for the Clearing House, told the judges that he knows of no other central bank that discloses the information the media companies are seeking. "Very few countries around the world have a Freedom of Information Act," Dennis Jacobs, chief judge of the appeals court, responded. The other two judges on the panel were Pierre Leval and Peter Hall. The case is Bloomberg LP v. Board of Governors of the Federal Reserve System, 09-04083, U.S. Court of Appeals for the Second Circuit (New York). Austrian Interior Minister Maria Fekter - nicknamed "Gravel Mizzi" - in all seriousness proposed a revival of concentration camps in Austria for asylum seekers on Sunday in a TV discussion. According to her ideas - that collide head-on with human rights - Fekter wants to detain asylum seekers in camps indefinitely. Social democratic government members have been busy rejecting Fekters inhumane ideas since. Locking up traumatized people who may have been incarcerated in the countries they try to flee is nothing else than Hitler's idiocy transponded to the new millennium. Fekter has gained a terrible reputation as all her proposals are universally - with the exception of Austria's growing far right - condemned as policies that contravene the human right to be free if innocent. Maybe she should re-read these basic rights which also apply to Austria as a UN member. Constitution experts are outraged about Fekter's plans as there is no legal base to detain people for nothing. Alas, Austria is not the only nation stomping on human rights. The US' problems with releasing the last 100 prisoners in Gunatanamo are a clear reminder that there is still a lot of s**t to hit the fan. Austrian conservative Finance Minister and Vice Chancellor Josef Pröll wants to nationalize Austria's central bank completely. According to reports from Austrian state broadcaster ORF Pröll offers the 30% private shareholders €50 million, a multiple for their €3.6 million in equity. Austria owns 70% of its Oesterreichische Nationalbank (OeNB), with the remainder held by banks, insurances and other privileged institutions under the system of Austria's "social partnership." The conservative led coalition from 2000 to 2003 looted more than half the gold reserves of the OeNB in order to present a phony zero deficit budget. As Pröll can be viewed as a loyal party soldier this move may be seen as a comfortable buyout for the 30% shareholders. The central bank had to pull a lot of rabbits out of its hat in order to come up with a positive result for 2008, which was only saved by the price appreciation of the gold hoard and the 24/7 shifts at the Austrian Mint, a 100% subsidiary, which has established itself as the world leading seller of gold and silver bullion coins. Here we go again with the conservative hypocrisy. After nationalizing Hypo Alpe Adria and considering the same for Oesterreichische Volksbanken AG the conservative finance minister, a nephew of Lower Austria's mighty governor Erwin Pröll, is now keen to bail out his party allies ahead of the coming big Austrian banking crash, leaving the sovereign - that's the citizens - to pick up potential losses in the near future. All Austrian banks are considered very risky investments these days and it will be interesting to see how well the equity issue of Italian Unicredit Group, parent of Bank Austria, will be taken up. According to a report by the Austrian daily Der Standard Unicredit wants to raise €4 billion and transfer half of the proceeds to bolster Bank Austria's equity base. With an issue price of €1.589 per share Unicredit is trying to assure the success of the issue as this price is 29% below the last traded price on last Friday. So far not a single Austrian politician has acknowledged the undisputable fact that it was a lack of banking oversight that lets Austria tumble down from the once 6th richest country in the world into the poorhouse of Europe. Austrian banks are still pushing €2.33 trillion in OTC derivatives risks ahead of them, roughly 10% more than 2 years ago. This book could not have landed later in my hands. Gold, Freedom, and Free Markets is a compilation of writings by some of the best scholars of the Austrian School of Economics. Already published in 2004 it offers thoughts and opinions that are rarely taught by any university.How could I give it a pass when the subtitle says "Economic Philosophy for Prudent Investors?" I apologize and will hide another week behind this great book and that 3 feet rack of unread books. Next one will be Murray Rothbard's "America's Great Depression." If you are as curious as me simply click the Amazon buttons below to read some non-mainstream thinking. After all it was linear mainstream thinking combined with the cheapest fiat currencies in history that have led to the greatest crisis since the 1930s, wasn't it? I promise to come up with an extensive outlook on the global economy in the new year by next week. That is, if I don't forget the gold bull market over these and so many other (mostly history) books. As that outlook will be pretty grim, I nevertheless wish all my readers success in their respective market or industry in 2010. It could become a watershed year although I think the big political changes may wait another year or two. As I learned 2 weeks ago, no ruling political system has ever survived hyper inflation. And this is how all fiat currencies fared in the past 3 centuries: Within a human's lifespan they had devalued between 90% and 100%. Unbacked Federal Reserve Notes, Euros, Yen, Pounds, Yuan will go the same way. Welcome to revolutionary times.